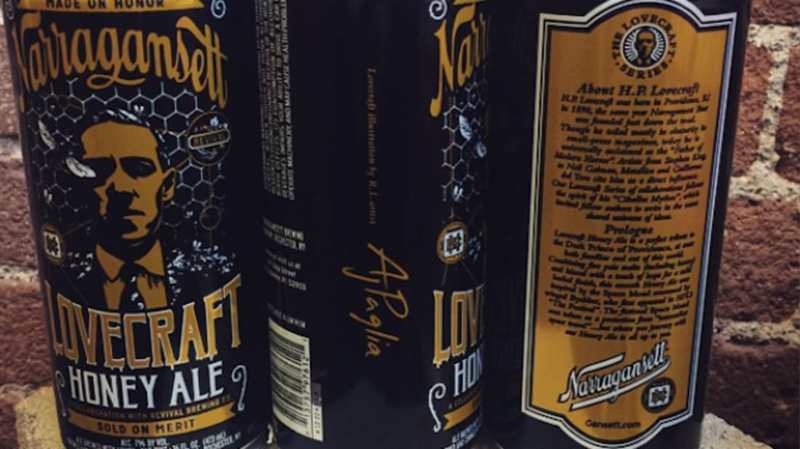 This year, Rhode Island brewery Narragansett turns 125. And so would Rhode Island native H. P. Lovecraft, if he were still around. So the former decided to draw inspiration from the latter to celebrate. "We’re celebrating our 125th anniversary here and this is kind of an extension of what we’ve been trying to do at the brewery, bringing back this great brand through a historical lens and local authenticity," Narragansett Beer President Mark Hellendrung told Boston Magazine. The special line will feature four different beers, each based on a different Lovecraft story. 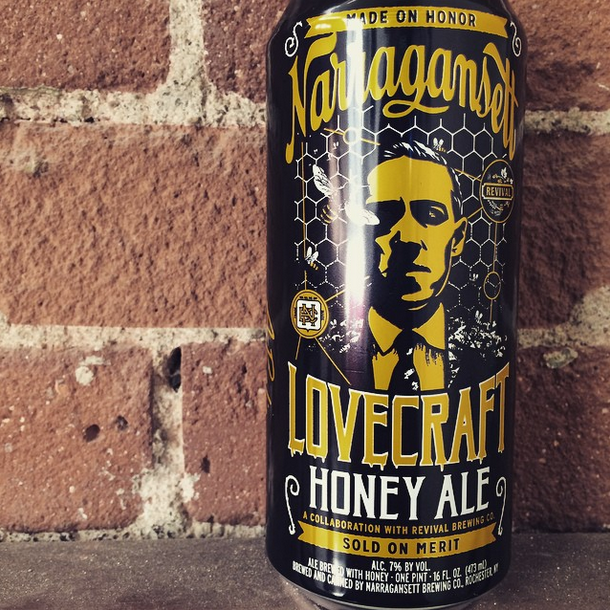 The first—to be released on January 19, the birthday of Lovecraft’s biggest literary influence, Edgar Allan Poe—will be the Lovecraft Honey Ale, inspired by "The Festival." The beer, produced in collaboration with Revival Brewing, also located in Rhode Island, is brewed with Summit and El Dolorado hops, honey, and five different types of malt, including honey malt, and features a striking image of the late author by graphic designer A.J. Paglia. The second brew, to be released sometime in April, will be an ale called "Innsmouth," an ode to Lovecraft's "The Shadow Over Innsmouth," and is projected to be much darker.